Originally commissioned by George Isaacs for Puakea Bay near Kona, Hawaii, this half life-size monument Humpback whale is shown breeching with its young calf. 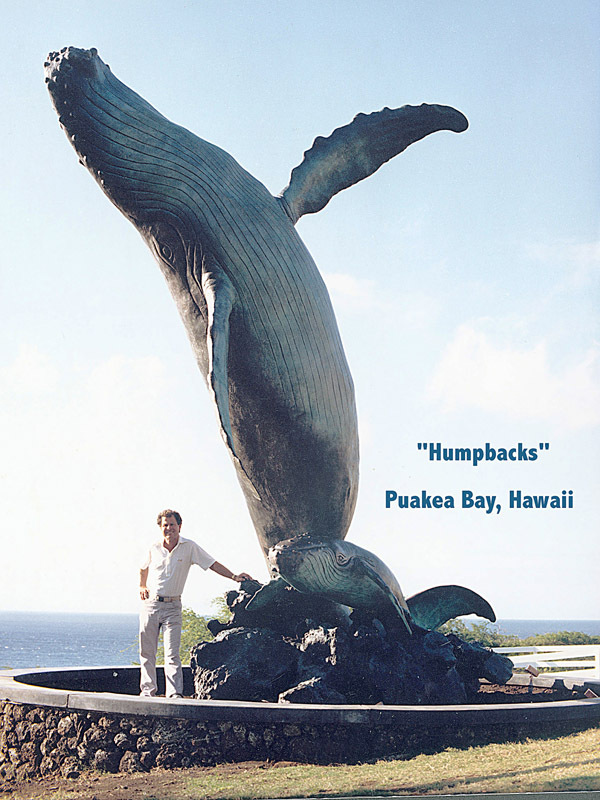 Humpbacks are seen frequently off the shores of Hawaii and Alaska where Doug has spent years studying wildlife. Whales being our largest mammals, Doug has a great interest in them.